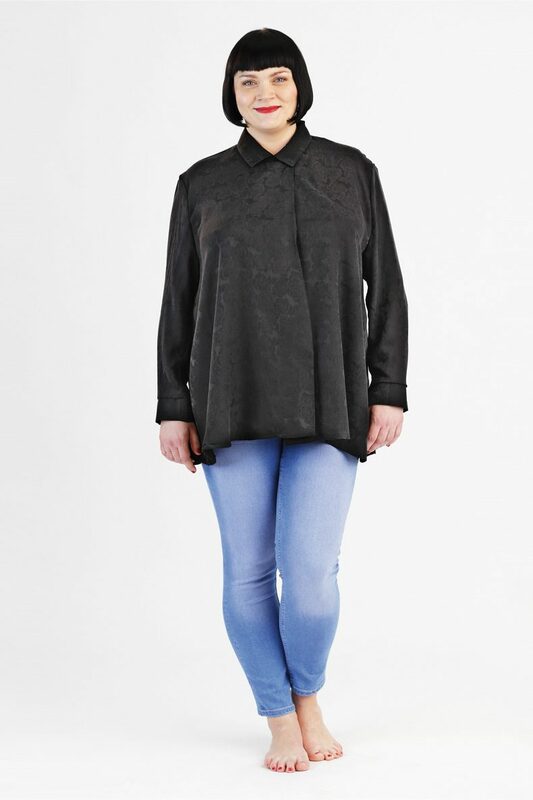 Lisa, the model, is 165 cm high and wears size 34. All steps are described in detail and are illustrated with step-by-step drawings. 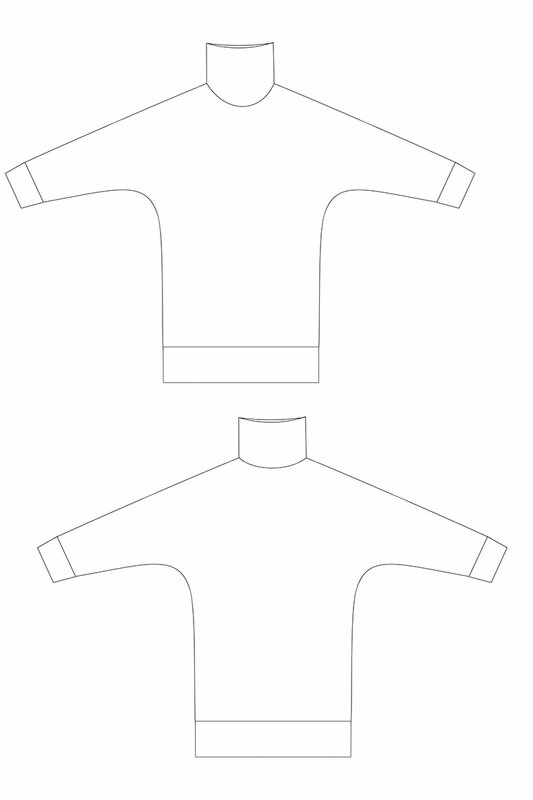 Blast from the Past #3 – Blast from the Past series – The Belinda Shirt pattern, was first released in autumn/winter 2009. Belinda is a super-easy sweatshirt with a wide turtleneck, cropped 3/4 sleeves, sleeve cuffs and a wide waistband at the hem. This pattern is also easy to master, for beginners! For the Belinda shirt, we recommend stretchy fabrics, such as sweatshirt or jersey. This sewing pattern is available as pdf-download either to print at home as well as to print-at-copyshop (1:1). All files include sizes 34 – 44. You can easily hide the sizes you do not need and you can print the pattern black and white or coloured. PDF (Portable Document Format) is a file that you can open and print with Adobe Reader. Here you can download Adobe Reader for free (for Windows or Mac). After your order is completed the pdf-download will be forwarded to you via mail or you can download the pattern checking your account. You can also choose the option Printed Pattern. The pattern then will be printed at our partner Patternsy coloured on ultralight 24gsm paper and then directly delivered to your address. The instructions will be fowarded to you after payment as PDF-Download. Share your makes on Instagram tagging #belindashirt @schnittchenpatterns!